Nike Sportswear continues to pay homage to their roots in the world of running with yet another clean look for the timeless Air Max '90. 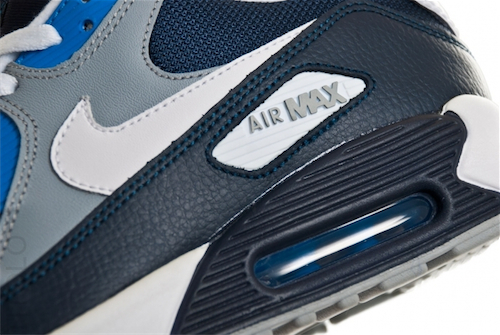 The forever favorite Air Max 90 arrives as usual, calling on a combination of premium leather and mesh to bring them to life. 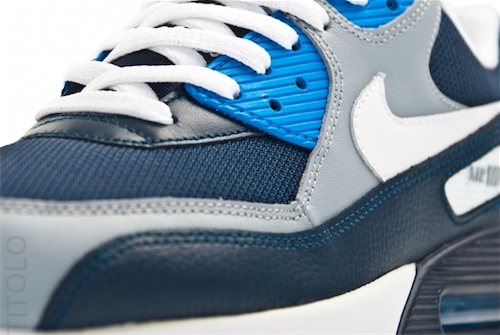 Obsidian blue and wolf grey covers most of the leather and mesh build, while photo blue accents on the eyelets and fills in the heel Air unit. White laces and a white Swoosh provide the perfect amount of contrast, matching the white/obsidian Max '90 tooling sitting below. 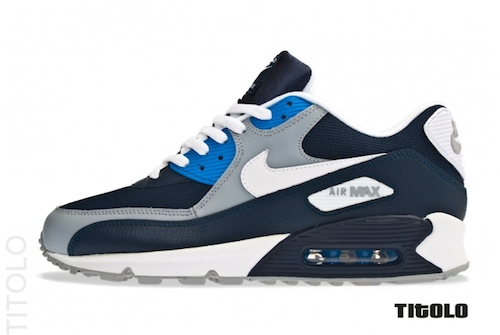 This all new Air Max 90 is currently available at select overseas retailers such as Titolo, and is expected to surface at stateside retailers soon.